D.B. 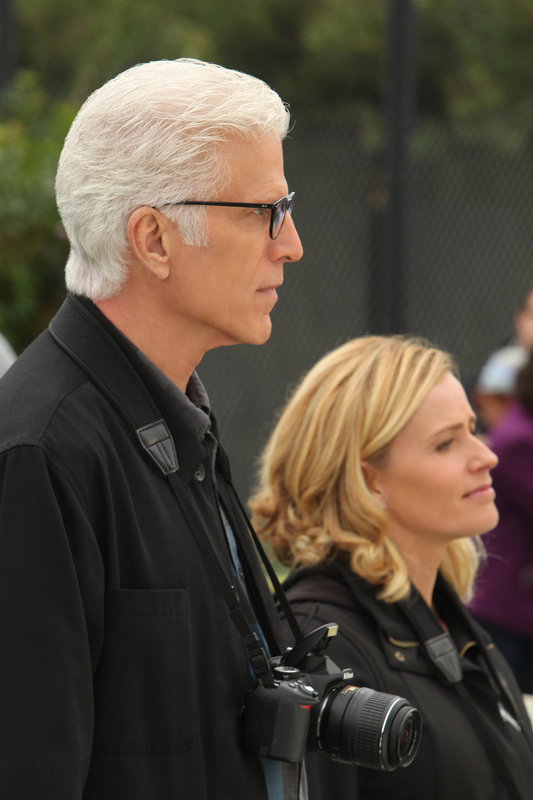 Russell (Ted Danson, left) and Julie Finlay (Elisabeth Shue) listen carefully as they piece together clues on the tennis court. Photo: Monty Brinton/CBS ©2012 CBS Broadcasting, Inc. All Rights Reserved.